January 2019 – Registration is now open for our spring classes – please see our Class Descriptions and Registration pages for more information. We are pleased to welcome Rose Conway Flanagan this spring; Rose will offer fiddle workshops on the NY Sligo style on April 7. Please scroll to the bottom of this page for Rose’s bio information. The joy of music lasts a lifetime! Welcome to the Connecticut Academy of Irish Music, which offers group instruction in traditional Irish music to children and adults on a variety of instruments (fiddle, tin whistle, flute, mandolin, banjo, guitar, and bodhran), as well as singing and mixed instrument classes. Classes are offered by outstanding instructors for players of all levels. We offer classes in the beautifully renovated historic barn in Old Wethersfield at the Wethersfield Academy for the Arts, 431 Hartford Ave., Wethersfield, CT. Interested in finding out more? Please see our current course offerings. Ready to sign up? Please click here for registration information and form (pricing listed on form). Read about our Irish Music Class Instructors. Questions? Contact Director Jeanne Freeman if you have questions or would like more information. The Hartford Courant wrote a nice feature article about the Connecticut Academy of Irish Music . Rose Conway Flanagan originally began Irish music lessons with Martin Mulvihill while growing up in the Bronx. She then further developed her New York Sligo style of fiddling with the help of family friend and mentor Martin Wynne and her older brother Brian Conway. Rose was recently inducted into the Mid Atlantic Region CCE hall of fame alongside her father Jim and her brother Brian. She currently has a large music school in her hometown of Pearl River where she is hard at work preparing the next generation of great traditional musicians, which include several All-Ireland winners and medalists. Among Rose’s past students are all the fiddlers in Girsa and senior fiddle champion Dylan Foley. Rose has been an instructor at the Alaska fiddle camp, The Catskills Irish Arts week, The Swannanoa Celtic Gathering, The O’Flaherty Irish Music Retreat, Fiddle and Pick Irish Camp, The Baltimore Trad Weekend and Mad for Trad week in the U.S. She has also taught at the DeDanaan Dance Camp in Vancouver, British Columbia and Scoile Eigse in Cavan, and Sligo Ireland. She has also taught workshops at the Northeast Tional, Cape Cod Ceili Weekend and at various CCE conventions. Rose also runs seisuns, plays with her group the Green Gates Ceili Band and performs in various concerts throughout the area. Rose recently released a duo cd with flute player Laura Byrne from Baltimore, “Forget Me Not”, which was met with great reviews. January 2019 - Registration is now open for spring 2019 classes as we begin our 7th year! Check out our offerings, including a special day of fiddle workshops with Rose Flanagan in April. December 2018 - Thanks to all for another wonderful year of Irish music, wishing everyone a wonderful holiday and new year! October 2018 - Our fiddle instructor, Jeanne Freeman, has been invited to serve as the Guest Artist for the 2018-2019 Simsbury Public Schools town-wide string festival. 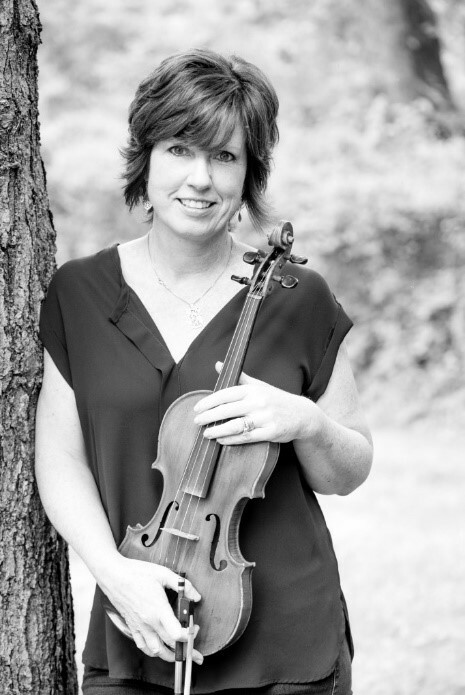 Jeanne will work throughout the school year with the string students at the elementary, middle, and high school levels, introducing traditional Irish music and style, culminating in a concert in March 2019. August 20, 2018 - Fall Registration is Open! August 17, 2018 - Good luck to our students Emilie and Nora this weekend in Ireland at the Fleadh Cheoil All-Ireland music competition in Drogheda, Ireland - we are so proud of you! July 2018 - Some of our young people performed at the Yard Goats baseball game at Dunkin Donuts Park in Hartford as part of Irish Night - always a great time! June 19, 2018 - A great showing this weekend for the Connecticut Academy of Irish Music at the regional CCE mid-Atlantic fleadh in New Jersey – congratulations to our students Emilie and Nora who shined with their strong performances – Nora won 1st place in the U-12 duets with a friend from Boston, Emilie placed 2nd place in the U-15 fiddle, and both earned third place playing fiddle, mandolin, and banjo in the U-15 Grúpa Cheoil (playing with the Realta Geala from Boston). Extremely proud to have them represent the CT Academy of Irish Music this summer at the All-Ireland fleadh in Drogheda, Ireland. May 2018 - Thanks to all for joining us for our classes, have a great summer and see you in the fall! Jan. 2018 - Registration open for Spring classes as we begin our 6th year! December 2017 - We just completed five full years of offering traditional Irish music classes, thanks to all!July 2017 - Working on our fall 2017 offerings, which will happily include a collaboration with the wonderful Damien Connolly in the fall - Damien and Jeanne will gather some of our younger players from around CT together for fun, friendship and tunes. June 2017 - Director Jeanne Freeman is featured in the June 2017 issue of Celtic Life International Magazine, please click here to read about it. May 2017: Thanks to all for another great spring session, filled with new and returning students. We welcomed Flynn Cohen to our teaching staff (sharing some teaching duties with Claudine), and hosted two well-attended fiddle workshops with All-Ireland fiddle champion Dylan Foley in April. December 27, 2016 - Spring 2017 Registration is now open. Happy to be starting our 5th year of operation! December 1, 2016 - The CT Academy of Irish Music presented music workshops to elementary students in the Simsbury Public Schools in a special afterschool program. Jeanne Freeman worked with all of the string students, in conjunction with the music teachers at the school, and another group learned whistle from Ellen Redman. It was amazing to then get them all together to play a tune, their school teachers were amazed at what they could do. We rounded out the day by teaching a song that all could join in on. A great collaboration all around, and as one young lady said, "It was the best thing EVER! November 14, 2016 - The CT Academy of Irish Music was invited to present traditional music workshops at Talcott Mountain Academy for the entire school, grades 1-8. Jeanne Freeman worked with several dozen violin players to teach a fiddle tune, and Ellen Redman taught another group the tin whistle, and all learned an traditional Irish song. Great energy from all of the students and teachers and the students were amazing! September 2016: Registration for fall classes continues, and check out our new video! Thanks to Melissa Murray Figueroa, of Spiral Image Media, for putting this together and doing such a great job! August 20, 2016 - Registration for our fall classes is now open, sign up by September 3, and you can receive the advance 10% discount! June 2016 - Congratulations to our students who competed in the Mid-Atlantic Fleadh Cheoil in Parsippany, NJ, and to Grace who earned a spot to compete in the All-Ireland Fleadh Cheoil in Ennis in August! Thanks to everyone for a wonderful Spring 2015 session of classes, we will see you in the Fall! Don't miss our float in the Greater Hartford St. Patrick's Day 2015 Parade, and our Director Jeanne Freeman will be Grand Marshall for the Wethersfield Town contingent! We will host an Open House on Saturday, January 3, from 11:30 a.m.- 1:30 p.m. in conjunction with the Wethersfield Academy for the Arts, at our location at 431 Hartford Avenue, Wethersfield. Stop by and say hello! Registration is now open for the Spring 2015 session - please see our Class Descriptions and Registration pages for details! Spring 2015 registration coming soon! First classes will begin Sunday, January 25, 2015. December 7 - We celebrated the end of our fall semester and our first two years with an all-school session, led by John Whelan. Studio A was full to the brim with current and past students, it was a wonderful day of music and good times! Thanks to all who have supported the Academy! October 7 - Director Jeanne Freeman and our Irish language teacher, Brendan Kane, met tonight with Irish Minister Joe McHugh, Department of Arts, Heritage and the Gaeltacht, in a wonderful event at Elms College to promote Irish language and culture. Thanks to Brendan for his efforts to organize this event and promote Irish language - Brendan is an associate history professor at the University of Connecticut and we are fortunate to have him as part of the Academy! September 14 - Fall classes begin today, welcome! August 2014 - Registration for Fall 2014 Classes is Now OPEN - and if you sign-up by August 25th, you can take advantage of the early registration discount (10% off)! July 2014 - Stop by our table at the Greater Hartford Irish Festival, July 25-27 - we will have information available on the upcoming fall classes. Some of our instructors will also be performing - Jeanne Freeman and John Whelan will play the Friday night ceili with the Music in the Glen Ceili Band; Jeanne will join them again for the Saturday afternoon ceili, and Jeanne, Dan Ringrose, and John Whelan will perform again on Sunday. June 2014 - Congrats to our mandolin, banjo, and guitar instructor, Claudine Langille, on the release of her new CD, "You Are My Flower - Songs of the Original Carter Family", with Victor Paul - available on Claudine's website, http://claudinelangille.com. May 2014 - Thanks to everyone for a great spring session of music at the CT Academy of Irish Music - we will see you again in the fall! April 2014 - Congrats to our students who competed in the mid-Atlantic CCE fleadh for the first time this year, and to our to our talented teacher and multi-instrumentalist Ben Gagliardi, who took 1st in Senior melodeon, 1st in senior harmonica, 1st in senior duos (with piper Jon Warner), 1st in senior trios (with Armand Aromin and Patrick Hutchinson), and 2nd place in senior concertina! March 2014 - Happy Saint Patrick's Day! March 2014 - Jeanne Freeman's debut solo CD, "The Fiddler You Are", is now out, produced by John Whelan - it's available at http://www.jeannefreemanmusic.com! Congrats! Connecticut Academy of Irish Music / Copyright ©. All Rights Reserved.